From Tadjikistan, 2000. 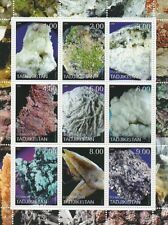 Mint, never hinged minerals stamp sheetlet. 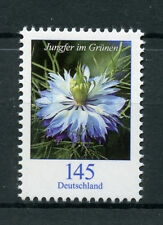 (Germany 2018 Flowers Definitives - Mint Never Hinged (MNH). Set of 1 value (1v Set): 145. You will be back for more! 3) Select each item and 'Add to Basket'. MONACO timbres neufs sans charnière, MNH. 47000A gen. Verdoux Philatélie. 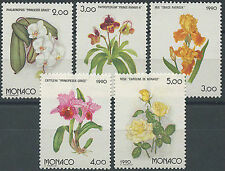 Sweden FDC 1982 Orchids Flowers wwa_19789. We will combine shipping for Purchases. It is 10 cents for each additional item within the US & 25 cents for each additional item outside of the US. Please note that this does not apply to collections. Please wait for a combined invoice before making payment. Feel free to contact us if you have any questions. Please send all messages through eBay's messaging system. Mnh set( blocks of four can be made available). 2002 MNH GAMBIA. Flowers of Africa. 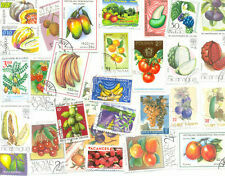 STAMP SHEET OF 6. Flowers and Gazelle. This Sheet Features 6 Different. THIS IS A BEAUTIFUL SHEET AND WOULD. 2002 MNH GHANA. International Year of the Mountains. SOUVENIR SHEET. This Sheet Features: Mt. Fuji, Japan. YEAR OF THE. Scott #2326. (Set of 1 value (1v Set): E0.64. You will be back for more! 3) Select each item and 'Add to Basket'. (Grenada 2018 Cocoa Plant - Mint Never Hinged (MNH). 3) Select each item and 'Add to Basket'. Liberia 2014 - Yosemite National Park - 150th Anniversary of Yosemite Grant - Mint Never Hinged (MNH). Sheetlet with 6 values (6v M/S). (Liberia 2018 Waterfalls of Africa - Mint Never Hinged (MNH). Sheet with 1 value (1v S/S) 3) Select each item and 'Add to Basket'. 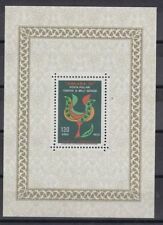 MAROC timbre(s) neuf(s) sans charnière, MNH. 47000A gen. Verdoux Philatélie. Greenland 2009, SC 536, MNH VF. Stanley Gibbons No. : MS1184a. No Exclusions. Year of issue: 1960. Stanley Gibbons No. : MS1835. No Exclusions. Condition: Mint Never Hinged. Year of issue: 1980. N° 2910 . TIMBRE FRANCE NEUF. N’oubliez pas de m’ajouter à votre liste de favoris ! SANS CHARNIERE. Make you save money. ajouter à votre liste des favoris! et n'oubliez pas de nous. Nature et fleurs. 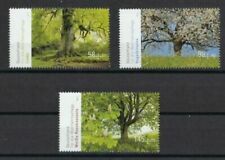 Lot de 9 Timbres oblitérés. 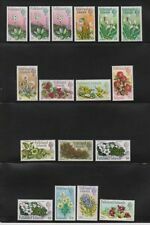 Mauritius FDC 1981 Bois Manioc Plants wwa_19773. We will combine shipping for Purchases. It is 10 cents for each additional item within the US & 25 cents for each additional item outside of the US. Please note that this does not apply to collections. Please wait for a combined invoice before making payment. Feel free to contact us if you have any questions. Please send all messages through eBay's messaging system. Set of 3 values (3v Set) (Zone C) - Namib Lily. Morocco 1981 (inscribed 1980) Minerals (3rd series) 2 value set featuring Onyx and Malachite-azurite - in superb u/m (mnh) condition - excellent country, definitives, minerals, rocks, precious stones, gems, mining, geology thematics. Tanzania 2015 National Parks of Africa - Mint Never Hinged (MNH). Sheetlet with 4 values (4v M/S) (2000/-) - Victoria Falls National Park, Zambia/Zimbabwe. (2000/-) - Lake Nakuru National Park, Kenya. (Falkland Islands 2016 Endemic Plants - Mint Never Hinged (MNH). (31p) - Falkland Rock-Cress. (£1.01) - Falkland Nassauvia. Set of 6 values (6v Set) You will be back for more! 3) Select each item and 'Add to Basket'. Tourist Year, Emblem. New Caledonia 1967, SC 355, MNH VF. Very FineCondition. Fresh Bright Colors.